The purpose of this brief LibGuide is to provide students with access to important databases, journals, reference works, and monographs dealing with John and Charles Wesley and Methodism. As with all LibGuides, this provides links to some of the many resources made available through the DTL. In order to access all of our resources, please use the search bar above. "Bridwell Library Digital Collections are drawn from the extensive print and manuscript holdings of Special Collections and Archives. The department’s collections focus on incunabula, Bibles, the Reformation and Counter-Reformation, devotional literature, church history, theology, popular devotion and popular piety, Wesleyana and Methodistica. The Archives contain papers and images documenting the history of Perkins School of Theology, Bridwell Library, and United Methodism." This is the research site dedicated to the study of Wesleyanism and offers a vast number of important resources made available both through the Frank Baker Collection and the Baker Methodist Research Center in the Divinity School Library as well as various other institutions and centers including: bibliographical guides, Indexes to Wesley Poetry and Hymn Collections, the Register of Charles Wesley’s Preaching, and many others. 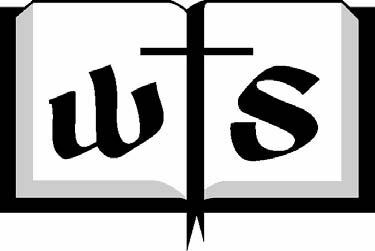 The Wesley Center Online website is a collection of historical and scholarly resources about the Wesleyan tradition, theology, Christianity, and the Church of the Nazarene. It provides online access to many of John and Charles' works. This provides access to John Wesley's Journal, Collection of Hymns, Plain Account of Christian Perfection, his poetry, his sermons, and his notes on the Bible. Among his many writings, John Wesley edited and abridged a number of devotional classics and republished them in what he called A Christian Library. These "Extracts from and Abridgments of the Choicest Pieces of Practical Divinity Which Have Been Published in the English Tongue," as Wesley subtitled them, were first published in 50 volumes in 1750. The present digital collection was scanned from the 1821 edition of these classics, published in 30 volumes. The Asbury Journal publishes scholarly essays and book reviews written from a Wesleyan perspective. The Journal's authors and audience reflect the global reality of the Christian church, the holistic nature of Wesleyan thought, and the importance of both theory and practice in addressing the current issues of the day. Authors include Wesleyan scholars, scholars of Wesleyanism/Methodism, and scholars writing on issues of theological and theological education importance. By way of introduction, Didache: Faithful Teaching, is an interdisciplinary academic journal offered on-line that explores the intersections of Christian conviction, culture and education for the Church of the Nazarene and other international Wesleyan communities in higher education. The publication serves to foster a conversation among our diverse international communities of higher learning, each seeking to educate in various academic disciplines but all guided by Christian conviction shaped through a Wesleyan heritage. HOLINESS is an open access online journal carrying peer-reviewed articles with the intent ofinviting ecumenical dialogue on what holy living means in the contemporary world, encouraging scholarly debate on questions of importance to those of Methodist/Wesleyan tradition around the world, and providing a forum for cross-cultural and creative theological engagement with the Wesleyan corpus in worship and study. This is the official publication of the General Commission on Archives and History of The United Methodist Church. A peer-reviewed journal dealing with Methodist history around the world. An open access, peer-reviewed electronic journal which publishes scholarly articles in all areas and eras of Wesleyan and Methodist studies. A journal of theological resources for ministry published jointly by the United Methodist General Board of Higher Education and Ministry and The United Methodist Publishing House from 1980-2005.
publishes peer-reviewed articles that examine the life and work of John and Charles Wesley, their contemporaries (proponents or opponents) in the 18th century Evangelical Revival, their historical and theological antecedents, their successors in the Wesleyan tradition, and studies of the Wesleyan and Evangelical traditions today. The journal of the Wesleyan Theological Society. This is the archive of the issues from 1966-2010. "The product of over 200 years of General Conferences of the denominations that form The United Methodist Church, the Discipline is the current statement of how United Methodists agree to live together. It acknowledges the past and addresses the future. Updated through the actions of the 2016 General Conference, the new Discipline includes a complete listing of bishops from Thomas Coke and Francis Asbury through the 2016 episcopal elections as well as a revised historical statement, an expanded index, and six parts: The Constitution General Book of Discipline Doctrinal Standards and Our Theological Task The Ministry of All Christians Social Principles Organization and Administration." "The volume containing the text of all resolutions or pronouncements on issues approved by the General Conference and currently valid. The Book of Resolutions contains not only the resolutions and policy statements passed by the most recent General Conference, but also all such statements still considered to represent the position of The United Methodist Church. The text of any resolution is considered the official position of the denomination on that subject." 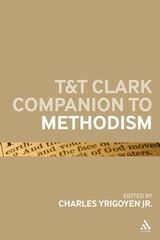 "This volume is a handbook on Methodism containing an introduction, dictionary of key terms, and concentrates on key themes, methodology and research problems for those interested in studying the origins and development of the history and theology of world Methodism. The literature describing the history and development of Methodism has been growing as scholars and general readers have become aware of its importance as a world church with approximately 40 million members in 300 Methodist denominations in 140 nations. The tercentenary celebrations of the births of its founders, John and Charles Wesley, in 2003 and 2007 provided an additional focus on the evolution of the movement which became a church." An up-to-date bibliography of primary and secondary literature on all aspects of Weslyan studies. This is a link to the 4th edition published in 2015. Wesleyan/Methodist Studies LibGuide by Christopher Crawford is licensed under a Creative Commons Attribution-NonCommercial-NoDerivatives 4.0 International License.